Creative History contains a range of ideas for developing children's understanding of ancient civilizations through creative art and display. The activities encourage the exploration of beliefs and legends, ceremonies and rituals, clothing and jewellery, transport, food and lifestyles. Topics include Ancient Egyptians, Romans and Vikings. * Practical starting points to engage the whole class. 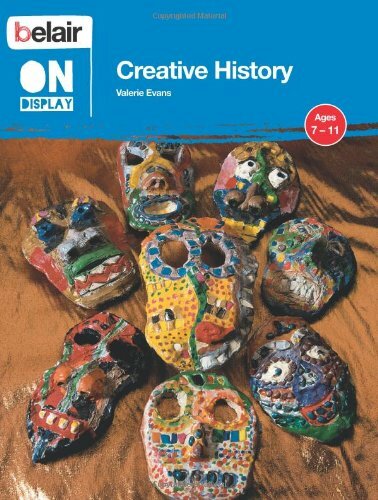 * Inspiring ideas for cross-curricular activities and displays. * Clear and informative illustrations show real-life classroom displays. * Resource lists and step-by-step instructions to help with lesson planning. About Valerie Evans (Author) : Valerie Evans is a published author of children's books. Published credits of Valerie Evans include Faith in Art (Belair - World of Display), Creative History (Belair - World of Display).